Daniel "The mantis" McGuire from Hamilton, Ohio started wrestling in elementary and wrestled through high school. 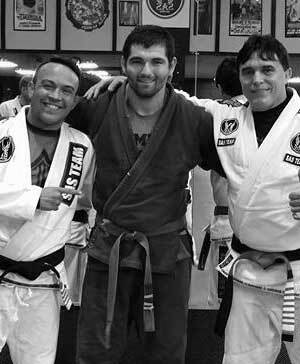 In 2007 started training Brazilian Jiu Jitsu and Muay Thai with team Jorge Gurgel. Dan has fought several amateur mma and kickboxing bouts and has competed in several regional and IBJJF Brazilian Jiu Jitsu tournaments. Mantis brings passion to his training and his teaching keeping everyone motivated!